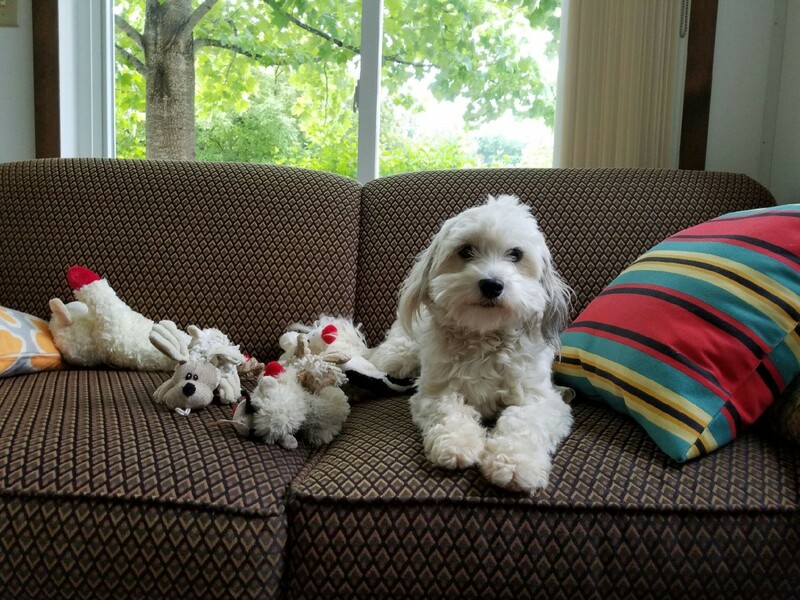 Avery is Our Heavenly Havanese Sadie’s younger sister. She is also Our Heavenly Reagan’s sister from the same litter. These bloodlines are extraordinary. Avery loves to play and she is quite athletic. She is capable of jumping to great heights. 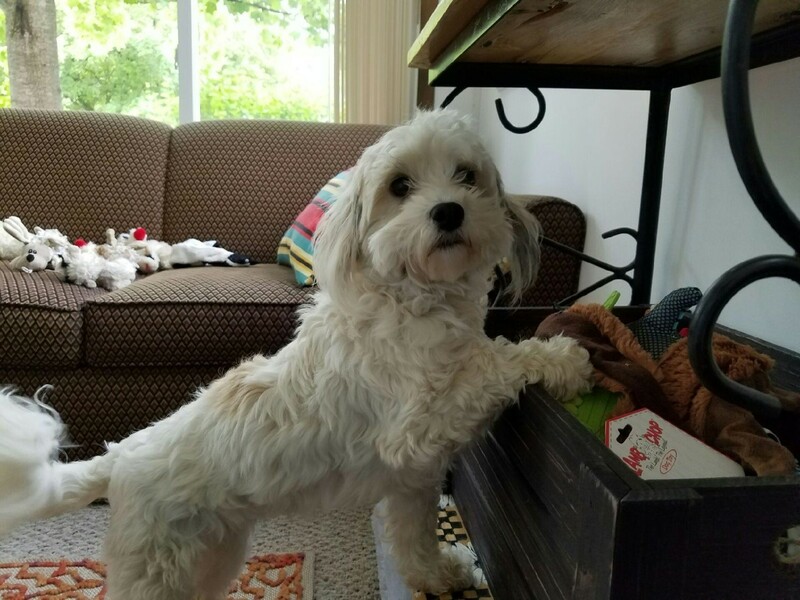 She loves to chase her Havanese friends. She is confident and observant. Did I mention that she is smart? Smart beyond smart! She is affectionate and she loves to cuddle. However, if you feel like playing she will be right on board. 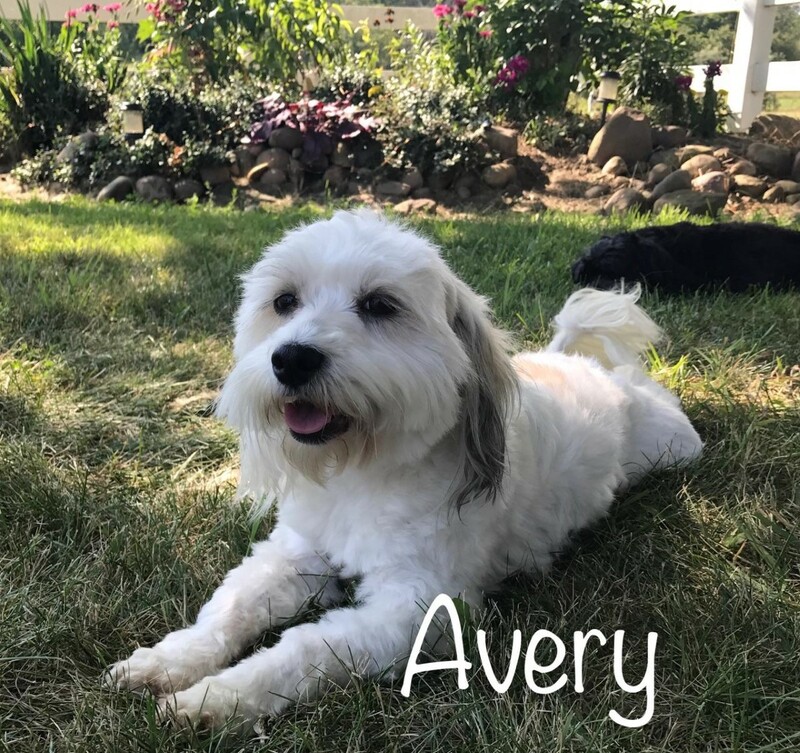 Avery has a beautiful white coat with caramel spots. She has hair that will grow very long. She has a stunning conformation and appearance. She weighs about 14 lbs which is at the top of the recommended breed standard. When Avery walks she prances. Avery is a loving and caring mom. She will typically have litters that range in size from 5 to 7 puppies. She is attentive and will take great care of her puppies. She will spend lots of time teaching her puppies how to be incredible dogs.